I personally knew six Rabbis, who publicly confessed Jesus Christ as their Saviour, although this meant the loss of everything that was dear to them. Rabbi Berg told me the following story of his conversion: He was taken suddenly ill and had to undergo an operation. As he was an orthodox Jew, he was greatly against being taken to a Christian hospital, but the Jewish surgeon in whom he had complete confidence, would operate only in that place. The operation was successful, but the Rabbi's state of health remained critical. The capable nurse who was in charge of him, was an earnest Christian and a friend of the Jews. For weeks his life seemed to hang on a thread. His recovery, which was largely due to the nurse's efficiency, gentleness and patience, progressed satisfactorily. One day Berg talked to her about religion. This gave her an opportunity to ask him to explain the Old Testament messianic prophecies. She brought him her Bible. Never before had he seen the Old and New Testaments bound together. He knew nothing about the New Testament, and did not want to have it on his bed; he was also very much disinclined and afraid to study the prophecies. Yet, being under a great obligation to the nurse, he did not wish to refuse her request. After some days he referred to the prophetic texts and passages explaining some away, and maintaining that others had not yet been fulfilled. In a tactful way the nurse asked to be allowed to show him, in the New Testament, how the prophecies had been fulfilled in Jesus of Nazareth. Berg hesitated, and not wishing to hurt her, at last consented. In Micah 5:2, she read that "the King of Israel" would be born in Bethlehem; then she opened the New Testament and read the story of the birth of Jesus in Bethlehem. 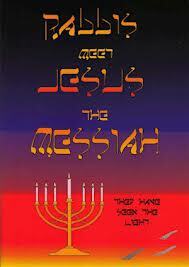 In Isaiah 61:1 and 2, she showed the Rabbi the work of the Messiah. This prophecy was read by the Lord Jesus in the synagogue in Nazareth on a Sabbath day, and He applied it to Himself, saying, "this day is this scripture fulfilled in your hearing" (Luke 4:16 21). After this conversation the nurse advised the Rabbi to have a rest, but before leaving the room, she handed him her Bible in which she had marked several passages. He tried to rest, but his mind was too active. He wondered at the nurse's biblical knowledge. Jewish women are not supposed to take any interest in religion and he was amazed and perturbed by what he had heard and read. Prejudices, doubts and fears arose like clouds, and tried to extinguish the light kindled in his soul by God's Spirit. With trembling hands he took the Bible and read the marked chapters in the New Testament. He seemed to be in a new world. He began to admire Christ. Hitherto he had not wished to see the Chaplain of the hospital, but now he welcomed his visits. They had many a heart to heart talk about Christ, until one day the Rabbi said: "I believe that Jesus Christ is the Son of God." To the members of his congregation who came to see him, he confessed that he believed Jesus to be the Messiah. All of them were shocked and thought that the severe illness had affected his mind. They were much distressed, for they esteemed him highly. Ultimately his elders wrote to him that, although they had honoured and loved him as their Rabbi, they had come to the painful decision to refuse him admission to the Synagogue because of his belief in Jesus as the promised Messiah. After this, no one visited him, not even his wife, nor any of his relatives. Berg had anticipated all this; he knew that all his friends would turn against him. At times a wave of grief and sadness seemed to engulf him, because his people could not, and would not see the glory of God in the face of Jesus Messiah. He longed for his loved ones, and for his friends of old. He felt as if the world were a desert. But Jesus was near him as his Friend, his Comforter, his Strength. His sorrow was turned into joy, and he could say with the Apostle, "What things were gain to me I counted loss for Christ." One day he had a great surprise. The British and Foreign Bible Society asked him to translate the Bible into 'Jargon' – a mixture of Hebrew, German and other foreign words. It is the language spoken by most of the Jews, especially in eastern countries. When, the task was finished he brought me a copy of his Jargon Bible. Thousands of copies were distributed among the Jews in Poland and Russia. It is still true what is written in Romans 11:5: "At this present time also there is a remnant according to the election of grace."